This pattern was inspired by my love of English Paper Piecing - though I don't actually like to do EPP, I think the quilts made with this technique are beautiful! This thought inspired me to use machine piecing techniques to create a quilt that looks like it is hand sewn. 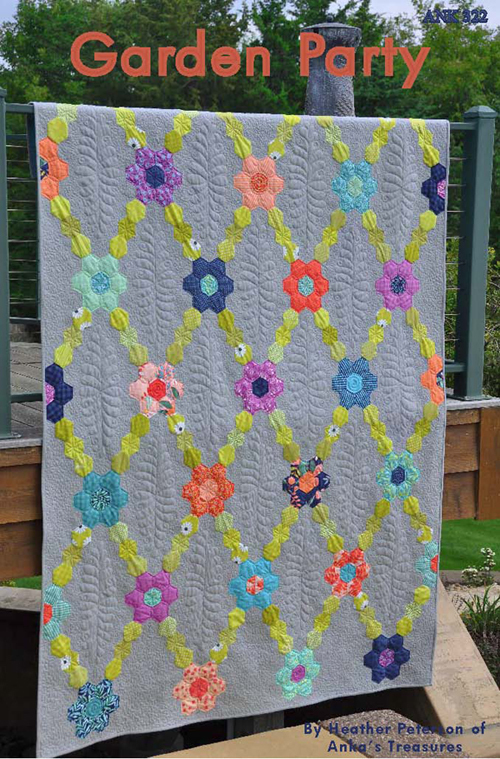 Strip piecing and folded corners are used to create the flowers in this quilt. The leaf units are created using the Creative Grids 60-degree triangle ruler, one of my favorites. Retail = $8.50, includes 4 size options and full color instructions. Click here to purchase or see more photos.